A dental crown is a fixed prosthetic device used to strengthen and protect the structure of a tooth. The crown or “cap” is placed on top of a damaged tooth or dental implant to repair the damage and improve the alignment, appearance and shape of the teeth. 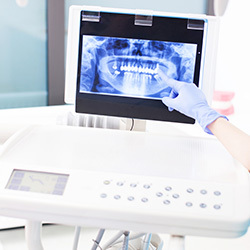 Crowns are usually made of porcelain or ceramic in order to give the teeth a natural color, but other metals like gold, acrylic, and metal alloys, which can provide greater strength, may also be available, depending on the general or cosmetic dentist’s preferences. 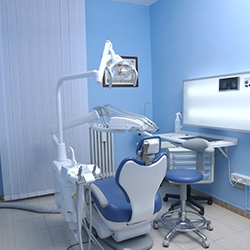 A dental bridge is recommended to replace missing teeth. The bridge is cemented to the natural teeth next to the missing tooth in order to “bridge” or cover the gap left by the missing tooth. This helps prevent the natural teeth from moving out of place, or causing other potential problems and disorders. And just like with dental crowns, porcelain or ceramic bridges can be used to maintain the natural color of teeth. 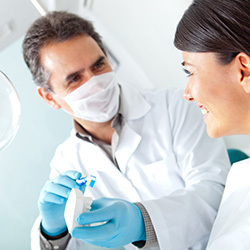 If you are in need of a crown or bridge, contact our family dental care office to make an appointment today.